Mary Lee and Madrigal are twin sisters, beautiful and deeply attached to each other. Then in high school, Mary Lee and Madrigal’s parents decide to send Mary Lee away to boarding school—cruelly separating the girls. 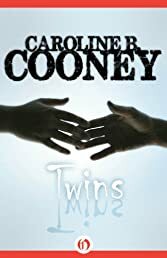 The twins have only been apart a handful of times in their lives. Mary Lee is devastated at first, and then horrified as Madrigal betrays her by approving of their parents’ shocking plan. Spending high school apart, as two separate sisters—not as twins?! What about their special twin bond? Madrigal seems to be thriving in her new solo life, and even finds a fabulous boyfriend. Mary Lee, lonely and unhappy at boarding school, begins to wish she had her sister’s seemingly perfect life. But when her secret wish disastrously comes true during a weekend ski trip, Mary Lee learns more about Madrigal’s new life than she could have ever dreamed . . . or feared. This ebook features an illustrated biography of Caroline B. Cooney including rare images and never-before-seen documents from the author’s personal collection.